DOUBLE GOLD WINNER!.... black pepper and luscious dark fruit. Earthiness, dried strawberry, currant and light sweet oak. The texture is smooth and savory with umami and great tension of tannin and a gorgeous burst of fruit, followed by black cherry, slate and blackberry cheesecake. GOLD MEDAL WINNER! 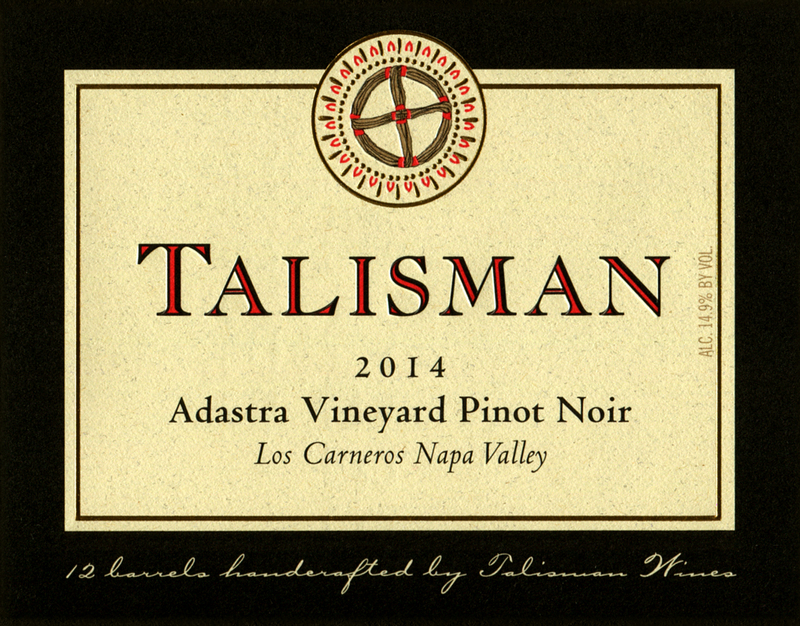 Adastra is a California Certified Organic vineyard situated in the very heart of the Los Carneros appellation. Located in a low spot with cool air flow and very thin, relatively light clay-loam soils, it is a site with naturally low vigor. 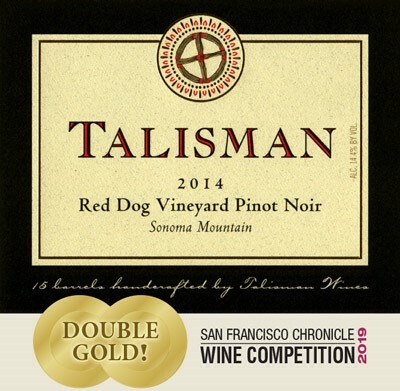 DOUBLE GOLD MEDAL SF CHRONICLE!! 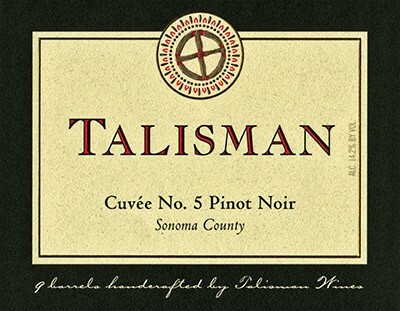 Such a great sipper... Full flavored and rich; this Pinot Noir Cuvee (blend) is crafted from several of our favorite Sonoma County vineyards. ... Supreme value!! Only 9 barrels made, with just a handful of cases left, some members keep a case on hand as their "house" wine. Sadie’s Vineyard is named after a gorgeous and spirited German Shepard Sadie, who is usually found with her younger sidekick, Kodi. The vineyard is located along the chilly Bodega Highway corridor in a sweet spot of the Sebastopol Hills west of the town of Sebastopol. The 2014 vintage is the first wine from this site that we’ve bottled as a single-vineyard wine and we’re pretty excited about the results. 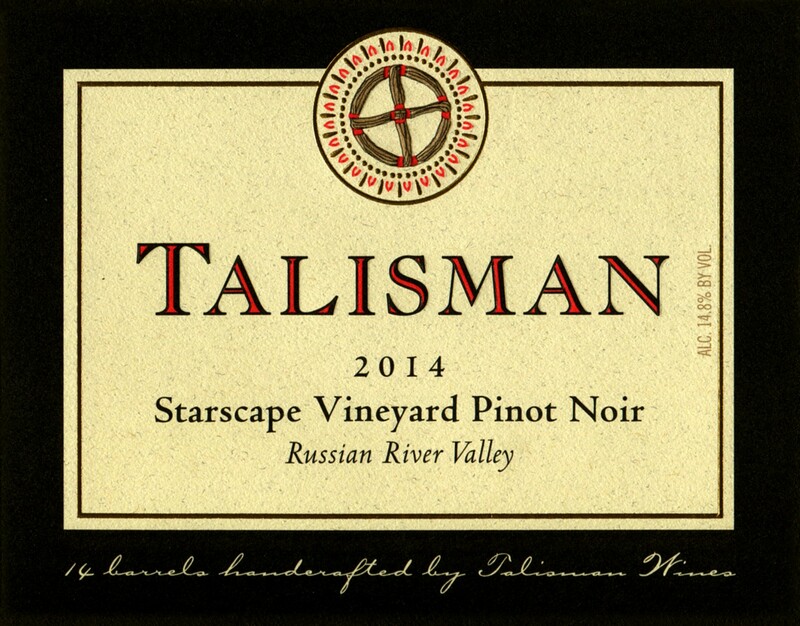 Our first vintage from this fabulous and nostalgic vineyard in the Middle Reach of the Russian River Valley; the swanky neighborhood where so many widely respected Pinot Noir vineyards are located. This 2014 has deep, pure, dark cherry flavors and a long, luscious, lingering finish. 338 cases made. 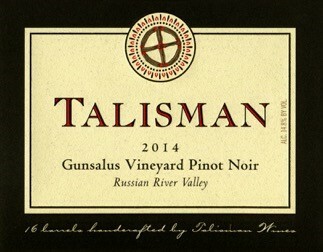 Such an enchanting and engaging classic Russian River bouquet of blackberry, cherry, blueberry and spice. Add in flavors of sarsaparilla, licorice and brown sugar with a rich, round, lush mouthfeel, initially a bit tight on the palate. Flavors linger on with an aromatic finish of strawberry, orange peel and rose petal. Simply delicious.